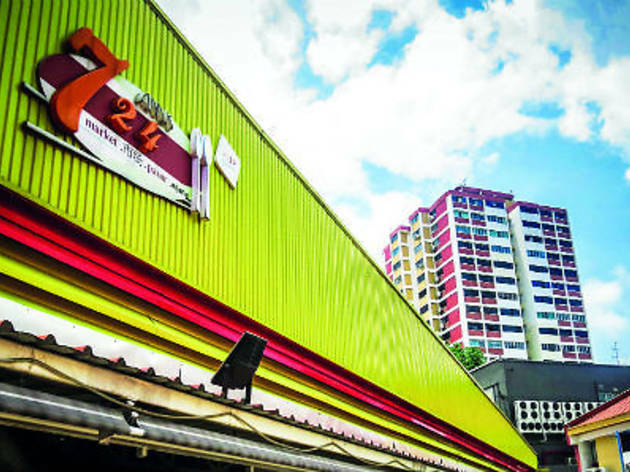 What it’s like Ang Mo Kio is home to numerous markets and food centers, but one of the most venerable is housed in Block 724 on Ang Mo Kio Avenue 6. Located in the heart of the district, next to AMK Hub, the market and food centre has been a popular draw for local heartlanders from around the island since 1980. 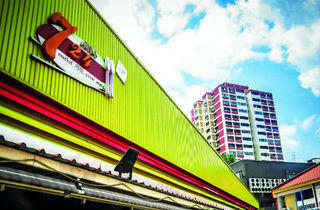 It received a major facelift in 2008, though it remains in its standard covered food centre structure, with an attached namesake wet market on the premises. What to eat There are 45 food stalls, with numerous Singaporean standard fare, such as char kway teow, chicken rice and carrot cake.